I’ve loved my set of Joseph Joseph Chopping Boards for years now. I still remember buying them, feeling ever so posh with the colour co-ordinated boards and have used them every single day. You wouldn’t believe how often they are mentioned when people come to the house – The fact that I still stack them in colour order makes them look quite new. As the years have gone by though, there have definitely been signs of wear and tear (particularly to the white board who I cannot persuade the others not to chop red peppers on!). When Joseph Joseph contacted me shortly before Christmas and asked if I would like a set to review and one to giveaway, I was delighted. Its nice to see that over the years, the design of the holder has been modified – The boards are actually now hidden away so even if the white board continues to have red pepper stains on it, no-one need ever see. The actual material of the boards seems different too though – smoother and less likely to get knife indentations. We have the regular size (20cm x 30cm) and have been using them happily for a few weeks now. We barely notice the difference in size of the boards when cutting, but the unit itself seems so much tidier and takes up less kitchen space. Each board has a different texture on the reverse according to what it is designed to be used for. The White board has indented lines – I’m presuming to make bread more stable when being cut? My lovely Violet is absolutely crazy about chopping fruit and veg. 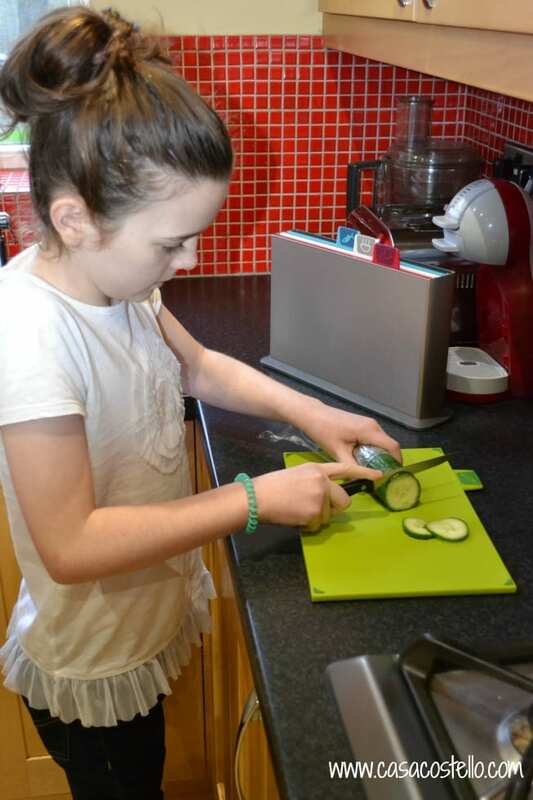 If she ever goes quiet, we can pretty much guarantee that she will be chopping some concoction – She was more than happy to model the green chopping board here! We received the Regular Sized Index Silver Chopping board set. 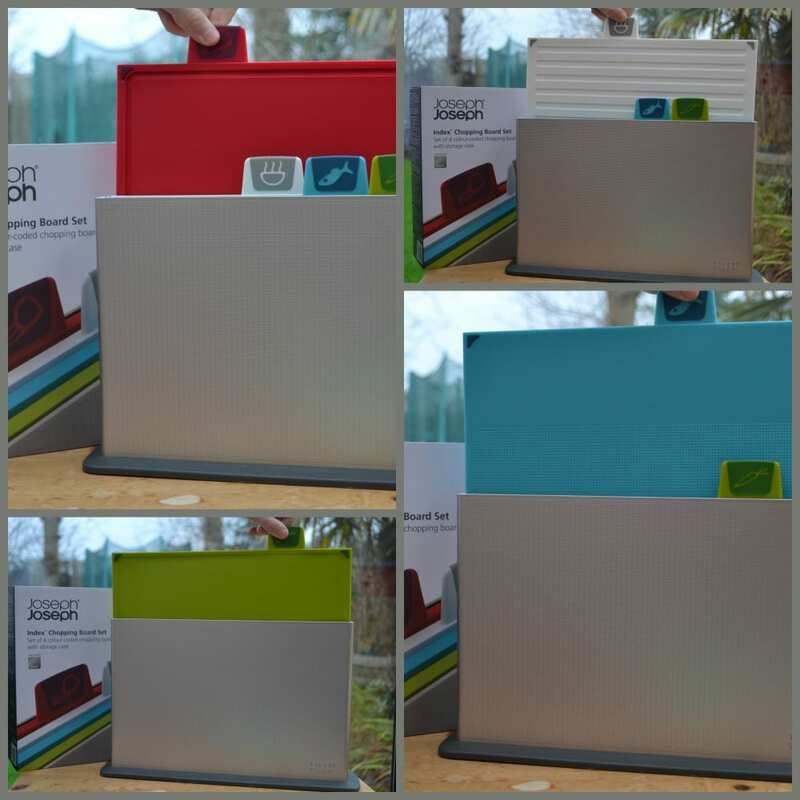 A set of 4 colour-coded boards and storage case. RRP £50. 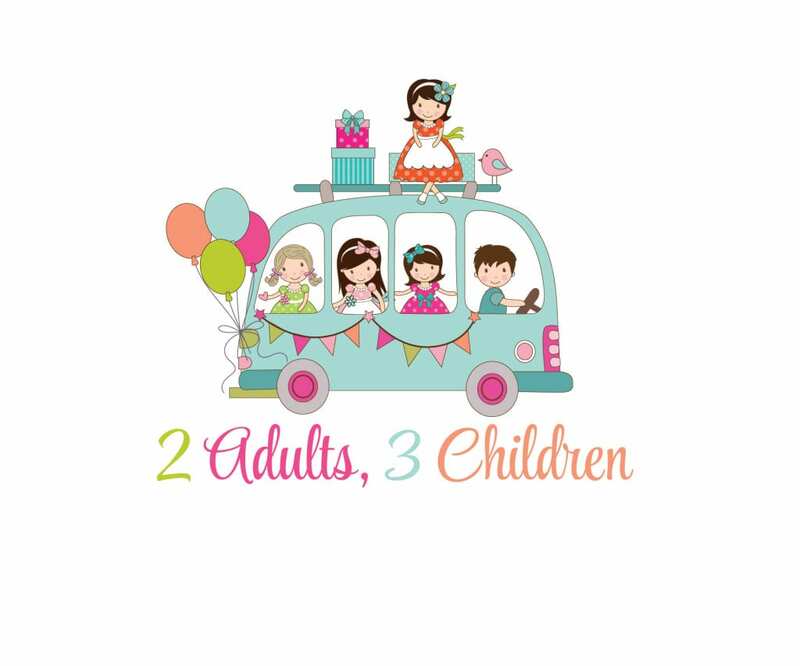 For more details and specification, please visit the JosephJoseph website. 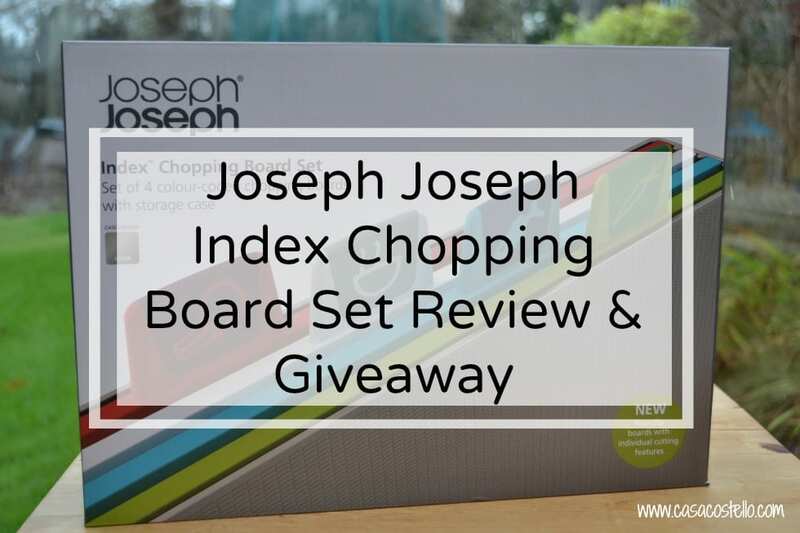 I’m very pleased to be able to offer one set of Joseph Joseph Index Chopping Boards as a giveaway to one lucky reader of Casa Costello. All you have to do is follow the Rafflecopter instructions below (please remember to comment at the bottom of this post rather than on the widget to submit a valid entry). Sorry, UK entries only. 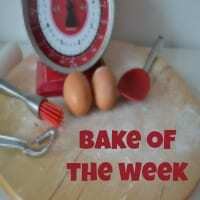 The competition is live from 7.30am on Wednesday 20th Jan until 11.50Pm Sunday 14th February. After this time, I will contact the lucky winner (chosen at random) to request their contact details for their prize to be sent out. The winner will be requested to respond within 7 days, otherwise after this time another winner may be chosen. Best of Luck to you all! I totally get the mushroom chopping thing! I love chopping chorizo but am not keep on slicing up chicken. Too messy! My favourite foods to chop are cherry tomatoes and my least favourirte are onions! Chopping herbs is lovely as the lovely aroma begins! Chopping onions finely is unbearable on my eyes ???? I love chopping most vegetables, my favourite is probably Courgettes. I don’t like chopping onions as much, they can be fiddly , and make me cry! I like chopping Carrots, but dislike chopping onions. Sorry least like chopping bacon because it makes my hands cold! I like chopping onions but hate chopping chillies. Damnit forgot to say what I like to chop haha! I, weirdly, love chopping onions! I like that nature has shown you where to cut them with the little lines on their backs! These look awesome. Good luck to all entering your giveaway! Least favourite is turnips, and most favourite is mushrooms. My favourite food to chop would be grapes as they always make fruit salads look even more attractive; my least favourite would have to be onions just because of the smell and the inevitable tears! Fingers crossed hoping for a little luck now – I’ve wanted something like these chopping boards since I first heard about them and though it was a great idea. I love chopping veggies. While I chop I’m thinking of flavour combinations and which spices I should use. It’s a fun part of cooking. I love chopping veggies – but hate chopping garlic. Joseph Joseph make such great quality products. Hmmm. I love chopping cheese as thinly as possible, hate chopping hazelnuts which fly all over the place!! 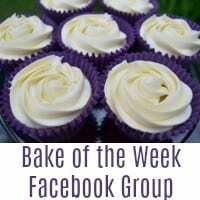 I’ve seen these around and thought what a fab idea…. fingers crossed! Favourite food to chop is definitely cucumber – nice and easy. Least favourite is onion because of the smell. I love chopping bell peppers, the colours and lovelt fresh smell do it for me. I’ve developed a recent aversion to chopping chilli peppers though after I tried to remove my contact lenses shortly after cooking. I love chopping up all fruits and vegetables except swede – it’s so tough! My favourite is mushrooms. Least favourite is turnip and swede because they are so hard. I love mushrooms too! I am not too keen on peppers or onions! I’m more than happy to chop carrots but avoid chopping onions if I can! I actually don’t mind chopping onions, but I’m not so keen on chopping peppers. I love chopping carrots, I find it so satisfying! I’m awful with onions though, they always make me cry. I will agree with you that chopping mushrooms is most therapeutic but I actually love chopping up onions,probably because I love eating them so much! I dislike chopping swede as it is so hard and my hands don”t work too well! I don’t like to chop any and would buy them ready chopped if it wasn’t so much more expensive! I agree about chopping mushrooms – I love it too. I hate chopping butternut squash – they are so tough! My favourite food to chop is carrots and my least favourite is onions….they make me cry ???? I like to chop peppers but I hate trying to chop swede. Love chopping peppers which is just as well since we eat alot of them! Hmmm, it’s an interesting question! I’d say my least favourite is butternut squash which is a shame because I LOVE butternut squash. My favourite is maybe a red pepper because it just slices nicely!! love chopping onions as i wear contacts my eyes dont water theres nothing I hate chopping really! Quite like chopping peppers, don’t enjoy chopping onions! I find grapes satisfying to chop. The hardest – Swede. Argh!! I hate chopping butternut squash & love chopping carrots. I ahte chopping onions, especially that last little bit that just slides everywhere! I love the chop Peppers! I hate to chop garlic cloves as they’re really fiddly! Love chopping mushrooms too, hate cutting up beetroot, but love eating it! Love chopping courgettes, so easy! Peppers on the other hand… Bloomin’ seeds! I love to chop herbs and hate to chop swede, its too tough!!! We cry while chopping the onions because of volatile essential oils. By chopping the onion we release them from cells and they make as cry. Try to put an onion in a freezer for 1-2 minutes and then chop it quickly with cold knife (put the knife under the cold water). Thanks to low temperature the essential oils will stay in liquid form so we can’t draw them with breath. Love chopping peppers but hate chopping onions!! Ive just cut up a butternut squash it was really solid,and not enjoyable.I like cutting tomatoes. Not exactly chopping, but I love cutting a thick slice of mango and then scoring crosshatched lines on it so that I can turn it inside out and eat it. I hate cutting onions and I also hate cutting anything fiddly, like celeriac. I never know how much to trim off so they take me ages to prepare. I’m vegetarian so I love cutting all vegetables mostly potatoes. I hate chopping onions but like cutting carrots! My eyes are really sensitive to chopping onions, but I agree on mushrooms as favourite, they are so satisfying to slice. I hate chopping carrots but love chopping lettuce & spring onions! Love chopping mushrooms and courgettes and hate onions and tomatoes! I hate chopping onions because my eyes sting, but I enjoy chopping carrots. I love chopping mushrooms too. I hate chopping butternut squash as you need a machete to get through it! Favourite is carrots…least favourite is onions boo hoo! The worst is onions…its an accident waiting to happen once my eyes start to blur! The worst is onions. The best is carrots. Love chopping hard vegetables, hate chopping mango! I am quite happy to chop anything especially peppers, beetroot but I don’t like chopping onions or chillies. I love chopping mushrooms too! I also enjoy chopping cucumber. My least favourite thing to chop is meat because you always get globs of meat and fat that stick to the board and they don’t want to come off. I like chopping pepppers and cucumber but less so soft tomatoes! I love to chop cucumber and hate chopping onions…. Love chopping peppers, hate chopping onions ???? I struggle with onions but I still use alot in my cooking so I should be used to it by now. I love slicing mushrooms too, easy and oddly relaxing! The worst chop is everything in the pumpkin and squash family due to their thick skin and the best chop is probably bananas. Like chopping mushrooms, hate chopping potatoes! Love chopping peppers so satisfying as I love pinching the odd slice whilst I’m at it! Hate chopping butternut squash, why are those things so hard to get into?! I like chopping all the veggies, except onions. But I really hate having to chop up raw meat… eww! I love chopping up a pepper! Love chopping cucumber and courgette and least is onions. I love chopping peppers they look so neat sliced up. I hate onions,. I love chopping cheese and hate chopping any types meat. I like chopping mushrooms and peppers, hate chopping onions and tomatoes! Favourite has to be mushrooms. The worst has to be onions! I hate chopping onions – it just REALLY irritates my eyes for hours. I like chopping courgettes & I hate chopping up swede. I love chopping mushrooms but eat more than I chop lol. I hate chopping onions as they make me cry every time. I like chopping up onion – love the smell of onion. I hate chopping up sweet potatoes. My least favourite thing to chop is swede – they are just about impossible. My favourite thing to chop are tomatoes. Love the look of these boards. I hate chopping meat, but love dicing onions teeny tiny!! My favourite is potatoes, least favourite is onion! I also love to chop Mushrooms also…. my least fav is Onions as they make me cry ?? I hate chopping onions! It makes my eyes water! I can quite happily chop a pepper though. Quite therapeutic if I’m doing lots in one go! I don’t mind chopping onions because I tend to leave them in bigger pieces than chopped finely. Favourite is courgettes. Least favourite is garlic. Don’t like chopping onions – gets in my eyes. Like chopping cucumber and tomatoes. I love chopping apples….absolutely HATE chopping onions! I love chopping herbs but butternut squash is a pain in the bum! I hate chopping swede or butternut squash, so difficult . I like chopping veg like mushrooms, carrots and celery but I dislike onions because it always makes my eyes run. Onions but only because I have sensitive eyes and really struggle with them. I love chopping radishes, and hate chopping swede!